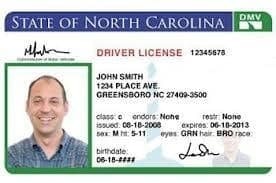 Do to an extreme increase in volume, North Carolina has passed a bill that would allow people to renew their driver’s license remotely. To qualify, a person would need a valid driver’s licenses issued after they turned 18. Additionally, they would be required to have previously renewed their driver’s license in person at the DMV office. This new bill that was passed on Wednesday and would let people renew licenses without taking a new picture or passing an exam at the DMV. People are free to apply online, by mail, or by telephone. The IDs would be valid for 4 years and reduce the hassle of waiting in line at the DMV. As ID renewal moves to an online model, ID validation will continue to be pivotal. The ability to scan, verify, and collect customer information will be an important aspect of the success of this campaign. Are you a DMV or looking for ID scanning software? Check out our enterprise solution options. Thank you a bunch for sharing this with all of us you really understand what you are talking approximately! Bookmarked. Please also visit my site =). We will have a hyperlink alternate contract between us!